FK talks to Bec & Pip from Sydney based label, it was me. Can you tell us about your label, it was me? it was me. is a resin based jewellery label whose focus is to make jewellery that promotes individual expression and gives a unique closeness to the designer and design process. 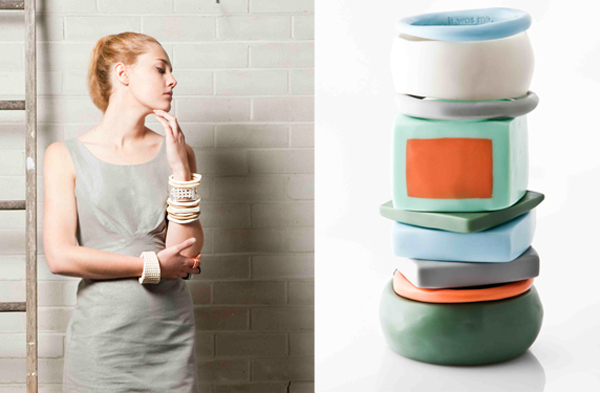 Every piece is handmade in the Sydney studio, maintaining strict quality but also possessing a natural individuality. There is no emphasis on swift production to satisfy a mass market. it was me specialises in raw, largely organic shapes incorporating obscure and exciting mediums within the resin to create at highly versatile and at times contradictory pieces. Experiment and variation are paramount, and this will transpire to clients who can wear the jewellery in a number of ways – from a single piece to an entire ensemble and everything in between. Clients can also arrange a custom designed piece or collection. It’s about individuality on every level. It’s about….me. What is your backgrounds and what was the motivation to start something of your own? Pip studied sculpture at SCA where she incorporated resin constantly within her art works. After years of working with resin she began making items of jewellery for her own enjoyment and soon friends and family were putting in customised orders. Eventually an opportunity was seen in the market and Pip asked Bec to come on board to help her with the business aspect of the label. Since then the two have continued to grow and develop the it was me. label to what it is today. Re-creating everyday, seemingly banal objects into something new and fresh. Extending the design purposes of objects and fabrics, using them to create a design or effect that would not normally be expected from that material. Trends and fashion do play minor role in inspiration primarily in our colour palette, however we tend to build our collections from a conceptual framework. What has been the most challenging thing about having it was me? Constantly having to challenge ourselves and set new goals where we have to think constantly outside of the square and go beyond our comfort zones to create something that we see is worthy of the label and something that we are proud of. Where are your favourite spots in Sydney’s Inner West (Newtown)? Courthouse Hotel, Campos, Dendy theatre and South End of King St – where out studio is – there is alot of new and quirky shops, 2nd hand furniture / clothes, vintage etc…. What are you looking forward to this year and where do you hope to take it was me.? We are looking forward to exhibiting our new spring summer 1112 collection at Rosemount Australian Fashion Week in May, and we hope to developing the label so it is instantly recognised for it’s individuality and it’s high level of quality. 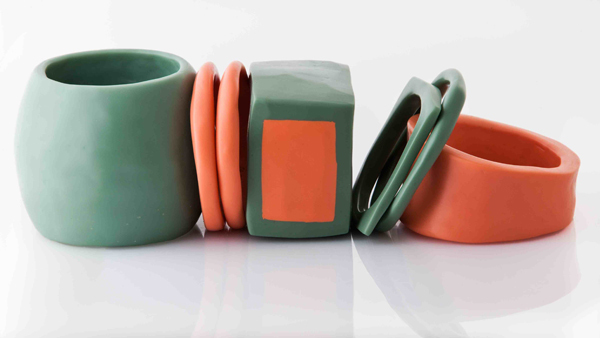 These bangles look heavily inspired by Dinosaur Designs and not just because they’re resin. Would be great to see them do something really original. I have to agree, they are different to Dinosaur, the colour palette is quite unique. Love it! It takes more than changing the colour palette to make the products unique. If you look at a lot of the bangle shapes in the photos on their website and then compare to Dinosaur Designs they’re incredibly similar -I don’t know they get away with it. Even the photography, the website and the text is similar. It Was Me are obviously talented and passionate – they should just find their own aesthetic and provide a real alternative. I agree, very similar to Dinosaur but still really cool! I have also seen some great ones with a NZ label Chan Andreassend. Love the photoshoot images, those girls look fantastic! What do you do for a living? Are you a “designer” too? Put the products side-by-side; you’ll be sure to feel like a fool. Bec & Pip; love your work!